The Paloma Cardigan is a jacket style sweater with three quarter length sleeves and mesh shoulders that stretch down the sleeves to make this free crochet cardi pattern perfect year round! Disclaimer: This post includes affiliate links; materials provided by Red Heart Yarns & Clover USA. 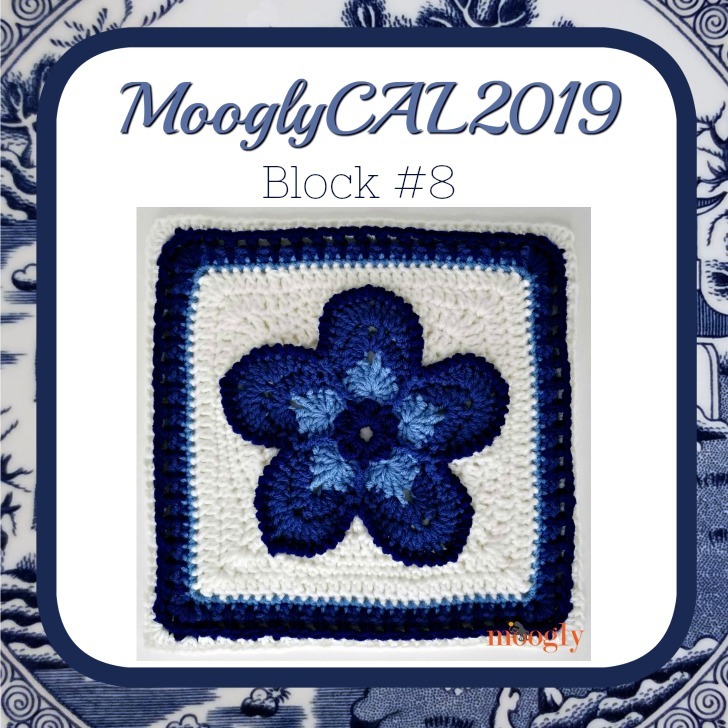 Up next at number 8 in the MooglyCAL2019 is the Strawberry Blossom Afghan Square by Julie Yeager! Julie is known for her gorgeous squares, so it’s always exciting to get to make one of her designs – including this free crochet block pattern! 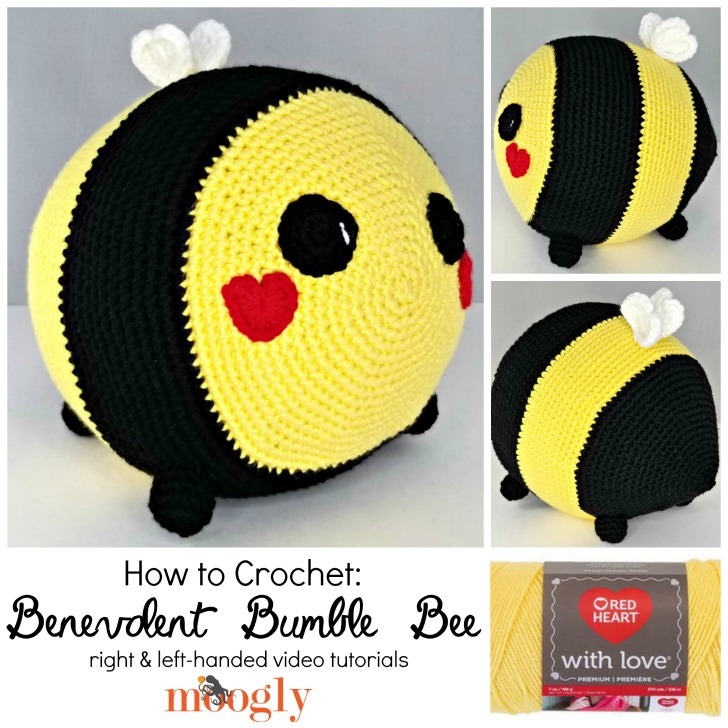 The Benevolent Bumble Bee Tutorial will demonstrate all the tricky bits of this simple amigurumi style crochet bee pattern – in right and left-handed video tutorials! Disclaimer: This post includes affiliate links; materials provided by Red Heart and Brittany. 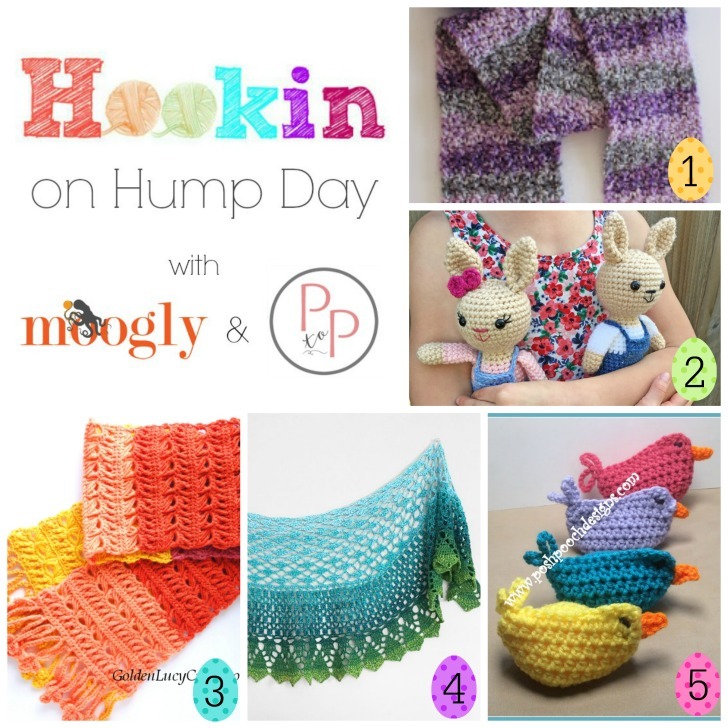 Hookin On Hump Day #189: A Yarny Link Party! Spring has definitely sprung on Hookin On Hump Day – we’ve got chicks and bunnies, and a couple scarves for those lingering chilly breezes. And while I wouldn’t call it an Easter miracle, it’s pretty nice that all the patterns this week are free! Check out all these fabulous designs – and then add your own to the HOHD link party on Moogly and Petals to Picots! 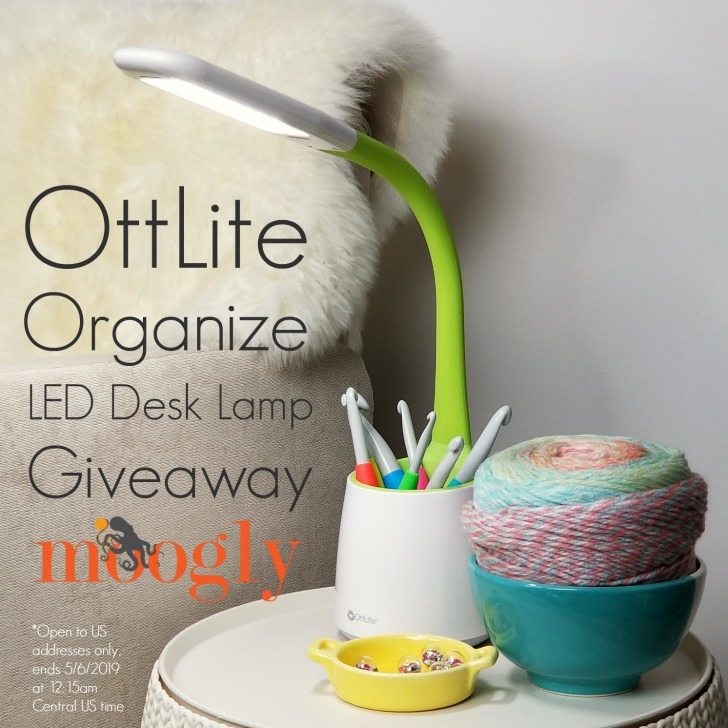 The OttLite Organize LED Desk Lamp is a handy new lamp with storage space and light that’s easy on the eyes – and great for crafting by! And I get to give one away here on Moogly! Disclaimer: This post was sponsored by OttLite, but all opinions are my own. This post includes affiliate links. Andee Graves is a brilliant designer, with patterns in a variety of magazines and books, on yarn sites, and on her blog Mamas2Hands Designs. 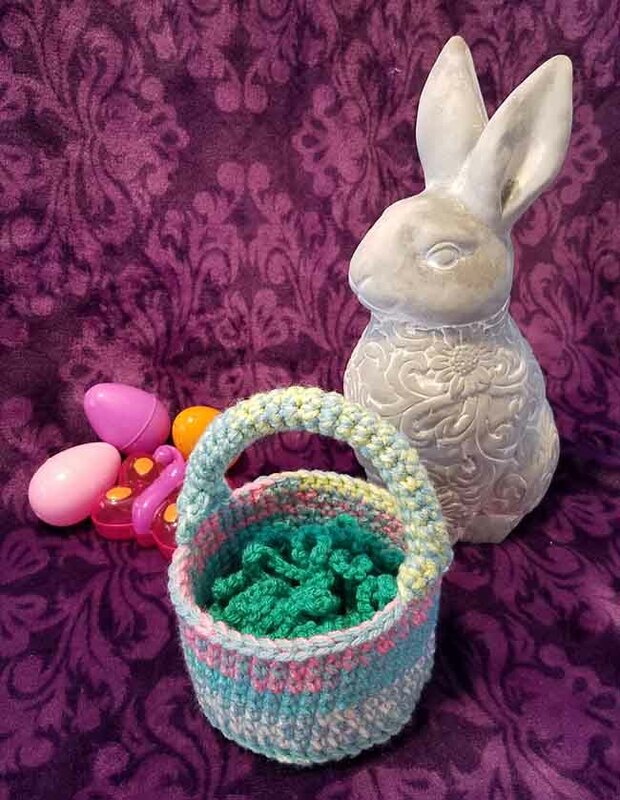 And today she is sharing her pattern for Hyperbolic Easter Grass in a guest post here on Moogly! Thank you so much, Andee! Be sure to also check out the linked pattern below for the basket! Disclaimer: This pattern is copyright Andee Graves, used with permission. This post may include affiliate links.